jagadīśa paṇḍita—of the name Jagadīśa Paṇḍita; āra—and; hiraṇya—of the name Hiraṇya; mahāśaya—great personality; yāre—unto whom; kṛpā—mercy; kaila—showed; bālye—in childhood; prabhu—the Lord; dayāmaya—merciful. The thirty-first branch was Jagadīśa Paṇḍita, and the thirty-second was Hiraṇya Mahāśaya, unto whom Lord Caitanya in His childhood showed His causeless mercy. 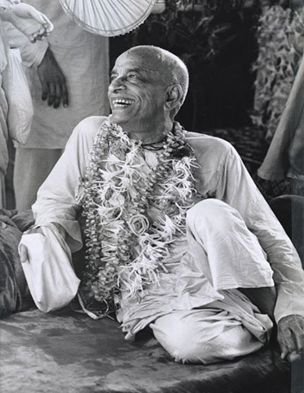 jagadīśa paṇḍita—of the name Jagadīśa Paṇḍita; haya—becomes; jagat–pāvana—the deliverer of the world; kṛṣṇa–prema–amṛta varṣe—he always pours torrents of devotional service; yena—like; varṣā—rainfall; ghana—heavy. Jagadīśa Paṇḍita, the fifteenth branch of Lord Nityānanda’s followers, was the deliverer of the entire world. Devotional love of Kṛṣṇa showered from him like torrents of rain. The Caitanya-bhāgavata, Ādi-līlā, Chapter Six, fully describes the Lord’s accepting viṣṇu-prasāda on the Ekādaśī day at the house of Jagadīśa and Hiraṇya. 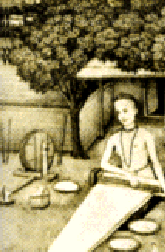 Regular prasāda is offered to Lord Viṣṇu on Ekādaśī because, while fasting is recommended for devotees on Ekādaśī, it is not recommended for Lord Viṣṇu. Once on Ekādaśī in the house of Jagadīśa and Hiraṇya Paṇḍita there were arrangements for preparing special prasāda for Lord Viṣṇu, and Lord Caitanya Mahāprabhu asked His father to go there to ask for the viṣṇu-prasāda because He was feeling sick. The house of Jagadīśa and Hiraṇya Paṇḍita was situated about two miles from the house of Jagannātha Miśra. Therefore, when Jagannātha Miśra, on the request of Śrī Caitanya Mahāprabhu, came to ask Jagadīśa and Hiraṇya for the prasāda, they were a little astonished. 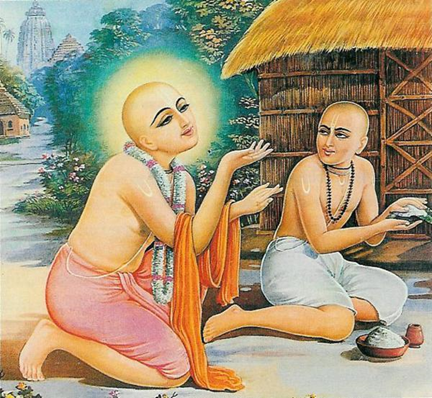 How could the boy understand that special prasāda was being prepared for Lord Viṣṇu? They immediately concluded that the boy Nimāi must have supernatural mystic power. 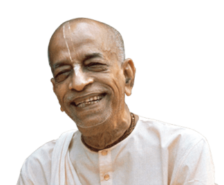 Otherwise how could He understand that they were preparing special prasāda? Therefore, they immediately sent the food to Lord Caitanya Mahāprabhu through His father, Jagannātha Miśra. 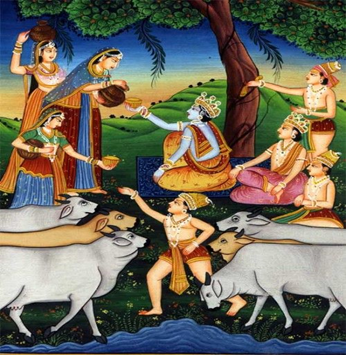 Nimāi was feeling sick, but immediately after eating the viṣṇu-prasāda He was cured, and He also distributed the prasāda among His playmates. The wives of the sacrificing Brahmins in Vraja took birth as Jagadisha and Hiranya. 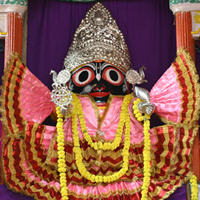 The Lord (Mahaprabhu) asked for and ate their Prasad on the Ekadashi day. In Vraja there was a dancer named Chandrahasa who was very expert in the tasting of rasa. 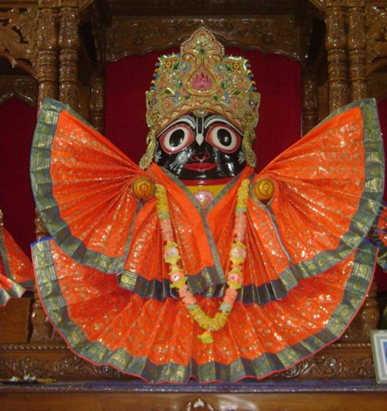 In Chaitanya-lila, he became Jagadisha Pandit who also took great pleasure in dancing for the Lord. (Gaura-ganoddesha-dipika 143) At first, the Deity was kept under a bata tree near the Ganges, and later the king of Krishnanagara, Krishnachandra, had a Temple built there for Him. 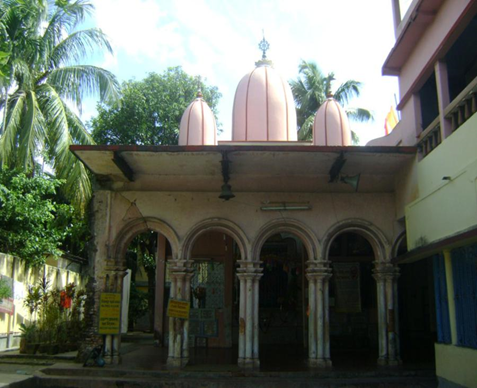 Jagadisha Pandit’s Temple is currently being managed by the Shri Chaitanya Gaudiya Math. (In the image: Jashora Temple, Mayapur).